Yesterday we looked at novels about art and artists, so I thought today we'd see what we have in the way of film. One of the most striking films is one that is animated, but animated in a way you haven't seen done before--with reproductions of an artist's paintings and style. The movie is Loving Vincent [DVD LOV] and it deals with the last days of the troubled painter. The life of the legendary Mexican artist, Frida Kahlo, is presented in the bio-pic, Frida [DVD FRI]. Girl with a Pearl Earring [DVD GIR], based on the novel of the same name, imagines the circumstances behind the painting of Johannes Vermeer. Little Ashes [DVD LIT], explores the relationships between Salvador Dalí, Luis Buñuel, and Federico García Lorca in 1920s Madrid. The Miniaturist [DVD MIN], also based on a novel of the same name, was shown on PBS "Masterpiece" last year. It is a story of intrigue revolving around a miniature recreation of a young wife's new home in Amsterdam. 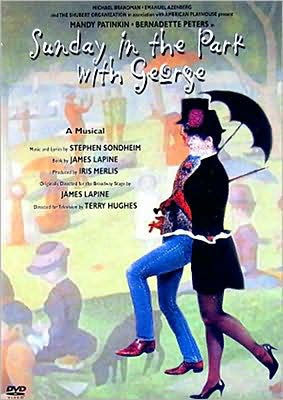 Sunday in the Park with George [DVD SUN] is a musical interpretation of the scene presented in the painting by George Seurat, "A Sunday Afternoon on the Island of La Grande Jatte." Mr. Turner [DVD MR] tells of the tempestuous life of British painter J. M. W. Turner.